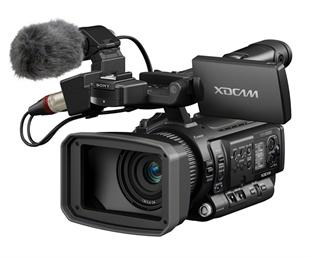 The NEX-FS700 camcorder uses a new 4K “Exmor” Super 35 CMOS sensor (total 11.6 million pixels). This high-speed readout chip is optimised for motion picture shooting, giving high sensitivity, low noise and minimal aliasing. The NXCAM’s E-Mount flexibility is designed to accept virtually all SLR and DSLR 35mm lenses, with the use of simple, inexpensive adapters without optical degradation. FS series owners can make use of their existing lenses and add more lenses without being forced on a brand or mount.It seems that internal recording is to AVCHD (oh well) and only 4:2:0 but 4K raw out of the 3G/HD-SDI port will be enabled later via a firmware update so you can use an external recorder.This camera should sit above the FS100 and below the F3. So should make a good B camera for the F3. It looks as though Sony have really listened to user comments and requirements from the FS100 and implimented some great features. We look forward to getting our hands on one! Another compact video camera from Sony was announced at NAB and is available on pre-order from Jigsaw and Proactive Broadcast at £3234 inc vat. It looks fairly similar to the EX1 but Sony have fired a definite shot over the “Canon X105 bow” with a direct response of 4:2:2 colour space and HD broadcast standard 50Mbps instead of the 35Mbps of the EX1 and EX3. The PMW-100 records to S*S cards and the workflow remains the same. It’s marketed as an excellent partner for b-roll etc to the PMW-500 and borrows some cool features from the EX3 such as over and under-cranking. Unfortunately the PMW-100 has a fixed lens, but what do you want for just over 3K!? There are also genlock and SDI connections so all seems present and correct. We’ve just completed two videos for Children England. They were shot at their Manchester Conference held at the Midland Hotel in March. One describes the benefits of being a Children England member. The other describes the importance of children’s rights within their work. Pleasure to work with Emily, Monique and Nick on this. Yes, it’s that time again. A bit like Christmas (although it doesn’t come around quite as often) where you don’t know what you’re going to get but you know you probably don’t really need whatever it is, and you know that the rest of whole occasion is likely to cost you a lot of money. The new full version of Production Premium (the one you want if you live in video land) is going to set you back £1810.80 precisely. If you’ve already got CS5 then the upgrade is £714.00 inc vat. But wait…..there’s a new way to pay! In this downtrodden, cash-strapped climate we are all suffering at the moment Adobe is the new Brighthouse! – just pay for your software suite in several simple monthly installments and when you fall behing on the payments just give it back….just like the plasmay! – I like it. Apparently you can download any Adobe software you like once you’re in the scheme. Pricing is about £70 month to month or about £47 a month if you sign up for a year. So £564 for the year isn’t bad if you need loads of Adobe apps. It should only take you 12 months to work out how to use a few of them too. Can’t wait for CS7. As far as I know this is Blackmagic’s first attempt at production of a camera of this kind and let’s be fair, this is amazing at this price if it does what it says on the can. There is a lot of discussion on the web regarding this camera at the moment and it’s easy to find should you wish, but one thing is for sure, even if Blackmagic have not made a perfect camera first time around the foundations have most certainly been laid. This is really going to shake up the major players and that’s only going to be good for the consumer. Personally, my view is that there is a schoolboy error in the batery department (it is fixed/internal), I don’t like touchscreens for monitors (how can you see what your shooting with fingerprints all over it? 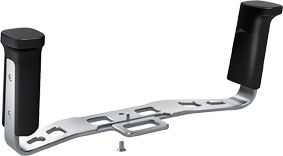 ), and the form factor looks a bit “domestic”, but apart from that….brilliant. 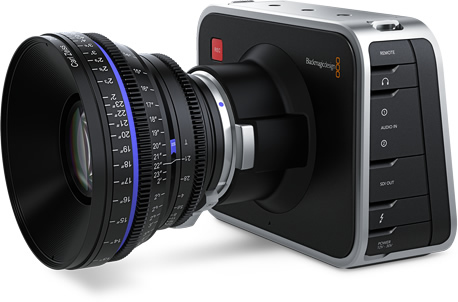 Well done Blackmagic, long live the revolution. Behringer DM12 Augmented Reality Launch!